Our in-house 3D CT Scanner generates a 3D image of your jaw for diagnosis and implant surgery planning. Extensive decay, bone loss, orthodontics, and wisdom teeth removal are all reasons that your dentist may recommend a tooth extraction. A tooth extraction can be a complex dental procedure, so it’s important to note that aftercare is just as critical as the procedure itself. 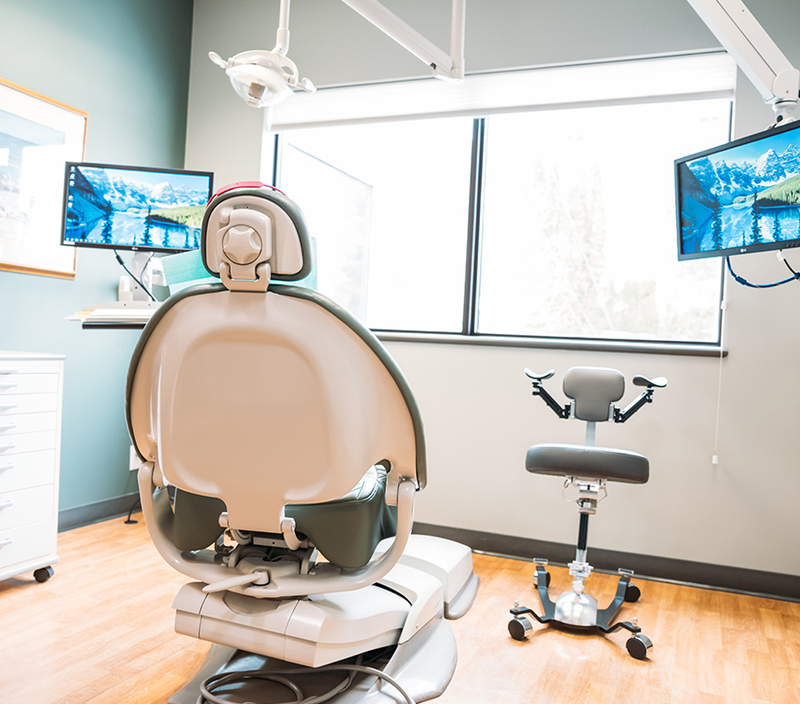 As the dental patient, it is important to understand that pain and the risk of infection can be lessened with proper care.Our staff will review proper home care instructions following a dental extraction. Third molars, commonly referred to as wisdom teeth, generally make their appearance between the ages of 17 to 25. Wisdom teeth extractions can be performed because of an active problem such as pain, swelling, decay or infection, or as a preventative measure to avoid serious problems in the future. Wisdom teeth removal is a common procedure, that can be performed under local anesthesia, intravenous (IV) sedation, or oral sedation by a specially trained dentist in a certified surgery office. 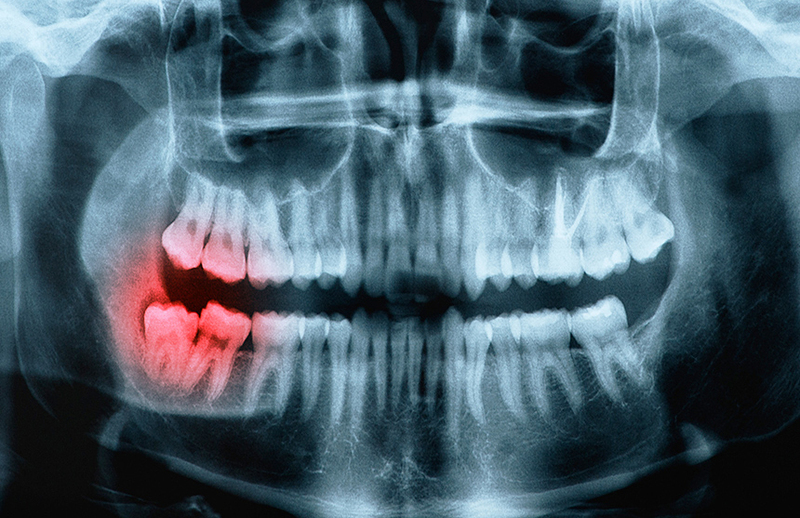 While not all wisdom teeth require removal, in most cases, inadequate space in the mouth prevents wisdom teeth from properly coming in or being fully functional. When this happens, the tooth can become impacted, or stuck, in an undesirable or potentially harmful position. If left untreated, impacted wisdom teeth can contribute to infection, damage to other teeth, and can possibly cause cysts or tumors. Bone and gum grafting is done to augment hard and soft tissue that may be insufficient prior to implant surgery. 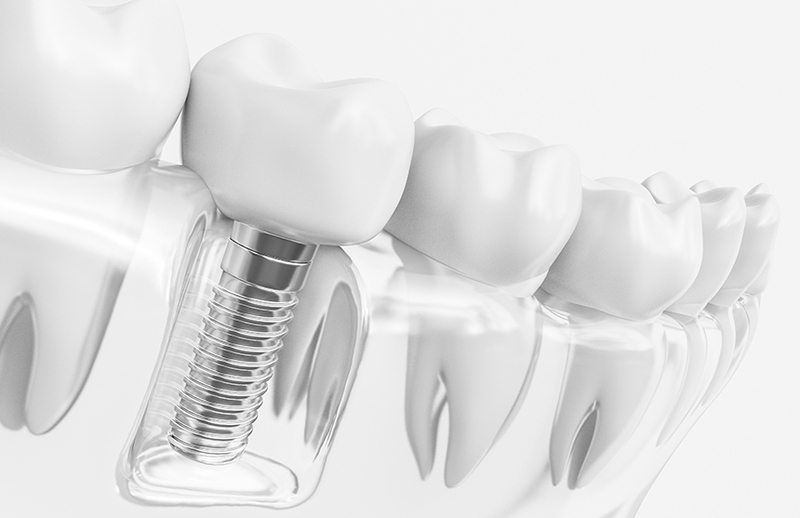 The success of an implant hinges on the height, depth, and width of the jawbone at the implant site. When the jawbone has receded or sustained significant damage, the implant(s) cannot be supported on this unstable foundation and bone grafting is usually recommended for the ensuing restoration. Bone grafting can be used to stabilize and help restore the jaw foundation for restorative or implant surgery. Deformities can also be corrected and the restructuring of the bone can provide added support. It can also be used as a preservative, in order to limit or prevent bone recession following a tooth extraction, periodontal disease, or other invasive processes. The bone grafting procedure can often take several months to heal completely. This bone will fuse with the existing bone and the migration of cells will cause firm adhesion and bone growth. Supplementing the jaw with bone will result in greater bone mass to help support and anchor the implants. Each type of bone graft has its own clinical benefits. Your dentist will discuss the type of bone grafts available and make an informed decision based on your individual situation prior to your surgery. Gingival (gum) tissue is the tissue that forms a tight seal around your teeth. It protects your teeth and the underlying supporting bone against bacteria. Muscosal tissue is found directly below the gingiva and is stretchy to allow the lips and cheeks to move. When there is only minor recession, gingiva still protects the tooth. However, when recession reaches the mucosa, a patient often requires root coverage surgery commonly referred to as connective tissue graft. This is a minor and often a successful surgery with minimal discomfort. Your Penticton family dentist will schedule follow-up visits at approximately 2 and 5 weeks. We also offer gingival graft to patients with receding gums. The surgery consists in removing tissue from the patient’s palate and then grafting it onto the site of the recession (missing gum). In some cases, a technique is used involving donor tissue. Periodontal disease, or gum diease, is a progressive condition and the leading cause of tooth loss among adults in the developed world and affects the gums and jawbone. Periodontal treatment methods depend upon the type and severity of the disease. Your dentist and dental hygienist will evaluate your dentition for periodontal disease and recommend the appropriate treatment. Periodontal surgery may be needed to reduce pocket depths, making teeth easier to clean. Platelet Rich Fibrin is a byproduct of your own blood that is exceptionally rich in platelets. PRF has long been used in hospitals to accelerate the body’s own healing process. Recently, advances in technology have allowed this same technique to be used in the dental office. Platelet Rich Fibrin application is now widely used to expedite the post-procedure healing process and is completely safe. Almost all patients report a much greater degree of comfort immediately after their procedure. The blood platelets perform several essential functions in the body, including blood clot formation and the release of growth factors that help to heal wounds. These growth factors stimulate the stem cells to produce new host tissue as quickly as possible, which is why PRF is so effective in the post-treatment healing process. Bone Repair – PRF can be used in facial trauma reconstruction, repairing of defects due to tooth removal, or the removal of growths and cysts. Soft Tissue Healing – Extraction sockets to prevent dry socket. If you have any questions about treatment with platelet rich fibrin or would like to find out if you are a candidate and can benefit from this treatment, please contact our Penticton Dental Office today to schedule an appointment. Fear and dental anxiety often cause people to avoid regular dental checkups. Sedation dentistry is an excellent way to provide a safe, anxiety-free, dental experience to those who are afraid of the dentist. 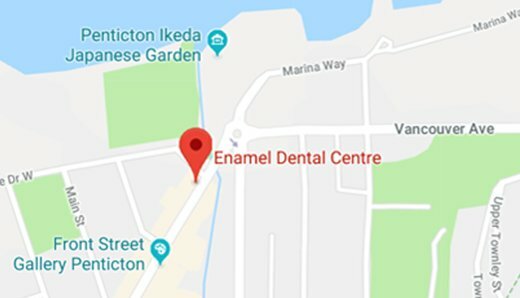 At Enamel Dental Centre, our Penticton family dentists, Dr. Marino, Dr. Jung and their staff are IV sedation certified with the College of Dental Surgeons of BC. Both doctors are proficient in oral sedation and IV sedation. Our main goal is to create a secure, comfortable environment for our patients. The more you communicate with us, the easier we can accommodate your needs. Prior to your dental surgery you will have the opportunity to address any concerns you might have during your pre-op appointment. We encourage you to ask questions and make us aware of any fears you might have. We offer different levels of sedation (minimal and moderate) depending on individual needs. Before administering any sedative, the dentist must analyze the full medical history of the patient, as well as taking note of any current medications. Intravenous sedation is a moderate type of sedation. As with most sedatives, IV Sedation reduces anxiety and allows the patient to stay awake during the procedure. Although it does not induce sleep, patients who have previously experienced IV sedation often report that they do not remember the appointment the next day. It is administered via direct injection into the bloodstream, which means the effects are immediate. It is very effective because the dentist can immediately customize (titrate) the dose of the sedative to maximize comfort and safety, specifically for the patient. Some sedatives work so effectively that the details of the procedure cannot be recalled afterward. Patients often feel groggy and sleepy when the IV sedatives are withdrawn. It is important to bring a designated driver for the drive home and to have them monitor you afterwards for 6 – 8 hours. Oral conscious sedation is an excellent choice for people with mild to moderate dental anxiety. Oral medication is provided prior to treatment in order to induce a state of sedation. Most of the drugs used in sedation dentistry are classified as benzodiazepines, which reduce anxiety, muscle spasms, insomnia and seizures. Each medication has a different half-life, meaning that the effects last for varying amounts of time. The estimated length of the procedure determines which type of drug is going to be most effective. Whatever the form of sedative, it is essential to be accompanied by a caregiver as driving to or from the appointment is not permitted.